To explore what opportunities are available at Glenroy College, select from the list below. At Glenroy College, students are always encouraged to get actively involved and speak up about how the school can be improved and can represent itself to the community. Students plan and run fundraisers, in support of charities, local needs and the school Students are given the opportunity to take part in forums and conventions outside of the school, including World Vision's Global Leadership Convention, Moreland Council Youth Services Forums, the ABCN (Australian Business and Community Network) GOALS Program and others as they arise. Beyond these formal avenues, all students have the potential to lead others. The staff of Glenroy College seek to involve in all students in their own learning and development, individually and as a community. Students at Glenroy College in years 10, 11 and 12 are encouraged to participate in the Lions Youth of the Year Program. The Youth of the Year Program (YYP) is designed to encourage, foster and develop leadership in conjunction with other citizenship qualities in our youth, at the age when they are about to enter the fields of employment or higher education. YYP provides students with the incentive to pay greater attention to the general qualities, so vital in developing our youth into first-class citizens. The qualities sought after, apart from academic attainments are those of leadership, personality, sportsmanship, public speaking and good citizenship. Glenroy College has a long tradition of entering some of our finest VCE students in YYP. It involves an interview with a panel of judges prior to the competition evening. This interview gives the contestants an opportunity to showcase their involvement in academic, cultural and sporting aspects of the community as well as any particular leadership qualities they have. The Advance program is administered by the Victorian Government Department of Planning and Community Development. It provides up to around $10000 per annum which we use to support the VCAL pathway in the school. The money has been used for many purposes over the years including subsidising the camps and excursions focussed on developing students’ personal development skills, getting students into volunteering, setting up community partnerships, helping train students in areas of need, providing training in car safety, service of food and first aid courses. The main benefits of the program are the opportunities it provides for students to work in teams in different environments outside the school and the chance for students to enhance their employability through training, volunteering and community partnerships. In addition to the funds provided the Advance program provides curriculum guidelines which lead to the outcomes needed to complete the Personal Development Skills stream in VCAL. Specifically it provides a structure around which students can participate in Volunteering activities and to develop the skills needed for decision-making and organisational communication. These skills are used to manage projects including fund raising activities, the camp and other excursions. Glenroy College students study Health and Physical Education from Year 7-9 as part of their core curriculum. Students can choose to study the subject in year 10 then further study year 11 & 12 as VCE subject. 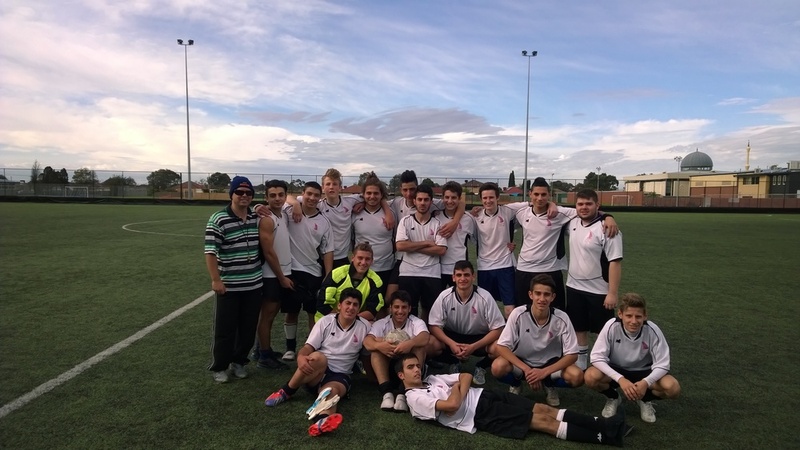 Students at Glenroy College can compete in inter-school sport for college in a variety of sports including; football, soccer, netball, basketball and volleyball. Glenroy College competes in the Moreland region of the Northern Metropolitan Region (NMR) of Victoria. Students at the college are encouraged to participate in extra-curricular sport as it is a positive way to represent the school and engage in teamwork based physical activity. Students whom participate in school sport are expected to be up to date with all of the subject coursework. In 2009, the student voice group expressed concern over not having a language at the school and Indonesian was reintroduced in 2010. There are currently Indonesian classes at all levels and there is a strong focus for these classes is on using ICT and digital technologies to enhance their language learning. These technologies include the use of iPads, flipcams, easyspeak microphones and laptops. Students experience Indonesian films, music and food to enhance their learning of the culture. Traditional stories, cultural arts, dance and Indonesian animals are also learnt by the students. In 2011, the school was a recipient of the Becoming Asia Literate: Grants to Schools (BALGS) initiative and received a $20,000 Federal Government grant. This money has gone towards Professional Learning for the teachers, funding new digital technologies, providing real life language experiences and resources for the students and setting up a Sister School Relationship with an Indonesian school. In 2015, CLIL (Content and Language Integrated Learning) was introduced in Year 9 to the school whereby students learn Humanities in Indonesian. Sister school program Students and Teachers from SMA N 1 Kasihan, Yogyakarta have come on three occasions to the school to experience Australian school life and culture. While they are in Melbourne they stay with Glenroy families and assist with language classes and other cultural activities at school. Our students have travelled to Indonesia twice. This trip allows students to gain first hand experience of Indonesian language and culture through an immersive program that includes visiting historical sites and nature parks, rafting, hiking and other cultural experiences such as cooking and dancing. Students also spend several days at out sister school where they live with a host family and attend school. Students return home with more confidence, with better Indonesian language skills and a deeper understanding of other cultures. In Victoria, Government Schools have had Chaplains for well over 50 years, providing pastoral care to the schools and their communities. In Glenroy, School's Chaplaincy began at Box Forest College in the late 1990's, established by inaugural Chaplain, Geoff Scott. Chaplaincy is a Christian ministry that takes place within secular contexts (schools, hospitals, prisons, sporting clubs, etc.) School's Chaplains work for the wellbeing of their schools and communities, including students, staff and families, often as part of a broader School Welbeing Team. Liaising with local health and community agencies, Chaplains provide pastoral care and spiritual support to any who seek it, with great sensitivity and respect for all faiths, cultures, life choices and worldviews. Chaplaincy is a role that recognises and honours the spiritual needs and health of a community in a way that few other roles do, encourgaing an awareness of symbolism and ritual, deep reflection and reconciliation. All Glenroy College Chaplains are appointed by ACCESS Ministries under the National School Chaplaincy Programme (NSCP). For more information about Chaplains in Victorian schools, click here for more information. Support Services, Youth Agencies such as Anglicare, CASA, etc. providing spiritual direction and encouragement, including prayer, reflection and (where relevant) memorial services. Glenroy College students do drama at Year 7-10 and can choose to do VCE Drama in Year 11 and 12. The college has a vibrant Drama department and has performed many of its ensemble acts at various Glenroy College events such as the Arts Night, Drama Nights, the Year 7 Information Night and various assemblies. Glenroy College offers an engaging instrumental music program. Students have the opportunity to learn an instrument with dedicated and experienced teachers. Mr Pilois co-ordinates the program as well as teaching drums, guitar and percussion; Mr Gretton teaches brass instruments; Ms Watkins gives singing, piano and woodwind instruction. Instrumental music classes are conducted for students from years 7 to 12. The School Arts Night and our Year 8 and 9 school rock band and drum ensemble perform at our regular Lunchtime Sessions. The band regularly performs at school assemblies as well as visiting local primary schools. Students also have the opportunity to be part of the Annual States Schools Spectacular. In addition to the enjoyment that students experience from studying an instrument, they learn skills such as teamwork and commitment while stimulating the language side of the brain which supports their literacy skills. We welcome students into the program at any time. Homework Club (YEAR 7-9) AND Study Hall (year 10 – 12) is a group of students who meet twice a week (on Monday & Thursday) between 3:15pm – 4:15pm. During this time students have access to library resources, including, computers, printers and photocopiers to complete their homework. Staff from our school will also be available to help students with their homework. Light refreshments will be provided also.